You are here: Home / Public Announcement / Please Help Us Dunk Susan Taylor & Trevor Hoffman To Help Heart Care At Scripps Health!! 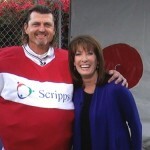 Please Help Us Dunk Susan Taylor & Trevor Hoffman To Help Heart Care At Scripps Health!! Hi everyone. 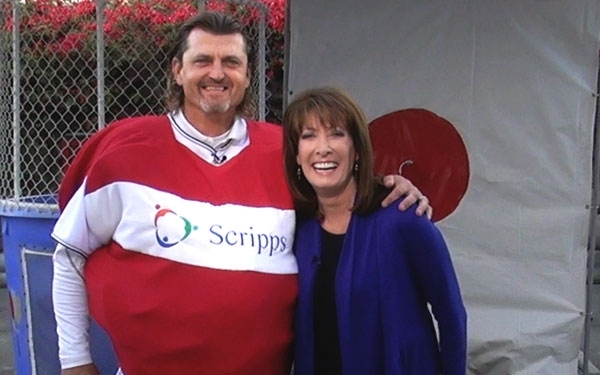 Please join us in dunking Susan Taylor and Trevor Hoffman on Feb. 4th, while raising money for the Heart Health Care program at Scripps Health!!!!! With a minimum $10.00 donation done easily on line by simply clicking here you can help us reach our goal of $50,000 which allows Trevor to use his pinpoint Hall of Fame control to drop Susan wearing a big, red heart costume into the cold dunk-tank water. If we reach $100K then Trevor gets dunked by Susan! I will be emceeing all the fun, as we raise money for a great cause.